The Saturday sunset had disappeared in a dense cloud cover, but the Sunday weather forecast looked more promising, so we decided to try again. This time Felicia was joined by her sister Filippa. 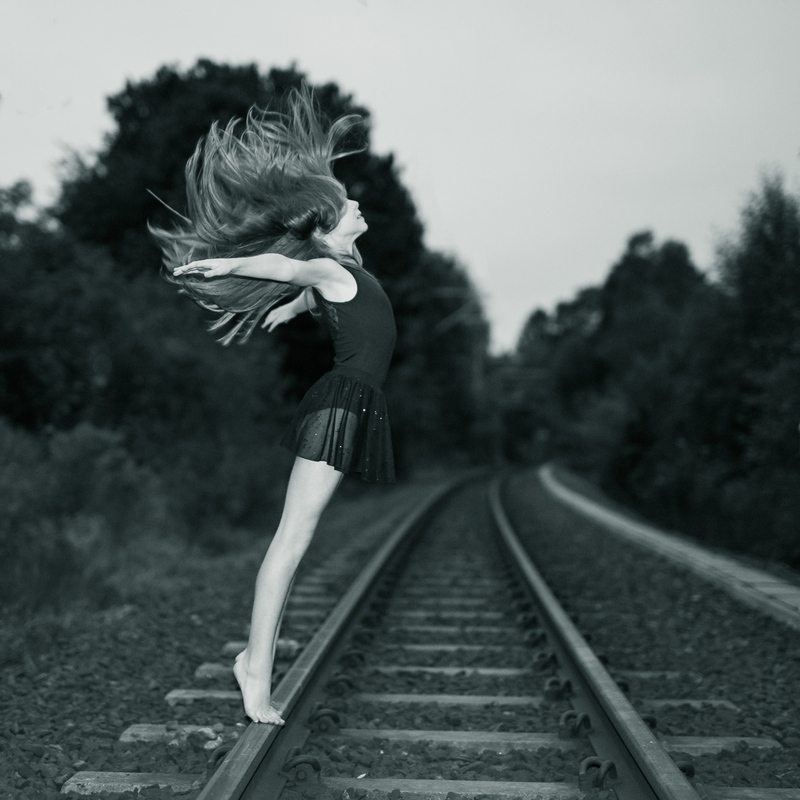 Several of the photos taken this evening were shot on train tracks. They are renovating Roslagsbanan, which meant that there were no regular trains going. Of course, there could still be maintenance trains on the track. 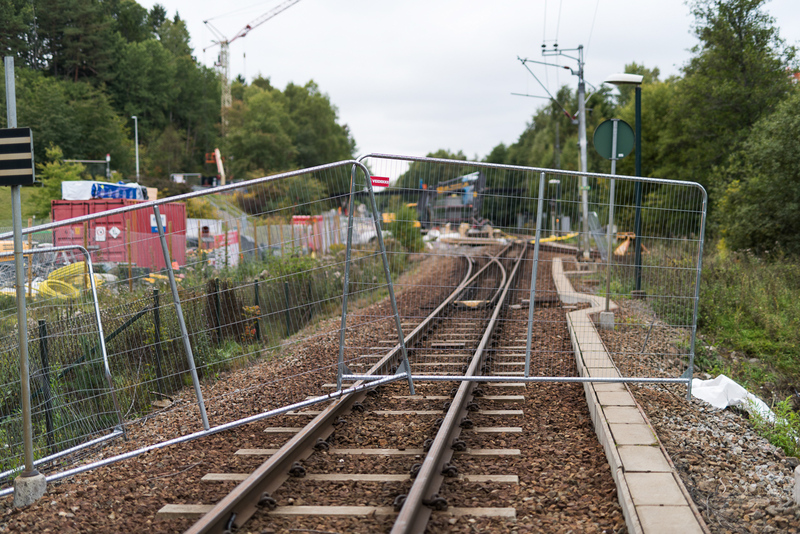 However, a part of the track at Hägernäs train station was cordoned off with a fence across it. So we felt that standing next to the fence, we would be pretty safe that no trains would pass. Felicia Andersson. The fence across the track is just behind us. 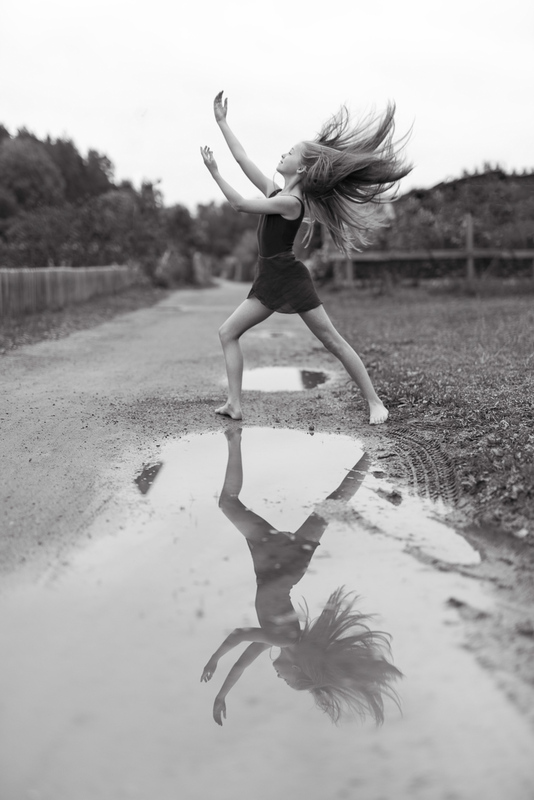 Filippa posing in front of a puddle. Reflections are really fun to play with. Felicia and Filippa on the bridge across the little river. We also did a few group photos with Felicia and Filippa. This one they called “the fish”. There are two train crossings, this is photographed on the other side, with the second fence right behind us. We decided to bring out the flash for the last few photos. Felicia jumping, while Filippa is standing just out of frame on the right hand side holding the flash. Filippa jumping. This photo almost feels like taken from some supernatural ghost movie. One last photo before it was time to pack up and leave. A big thank you to Felicia and Filippa for a fun photoshoot! If you want to see more ballet photos, check out the ballet tag on the blog.